The Meridian Highway is the foundation of one of the busiest and most significant transportation corridors in the nation. 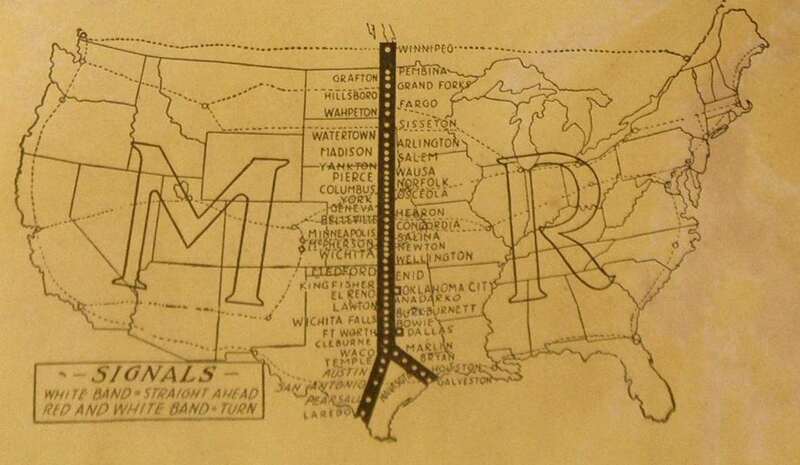 The Meridian Highway was one of the very few north-south routes promoted by highway associations created at the dawn of the nation's highway system in the 1910s. The roadway crosses over 800 miles of Texas, passing through Wichita Falls, Fort Worth, Waco, Austin, San Antonio, and Laredo, roughly following IH-35W with a lateral from Waco to Galveston, going through Marlin, Bryan, Hempstead, and Houston. Meridian Highway Map. Use your mouse to zoom in and out on the map to see the various alignments. Seen below are some of the places of interest along the Meridian Highway. For more places of interest, Explore the Meridian Highway. 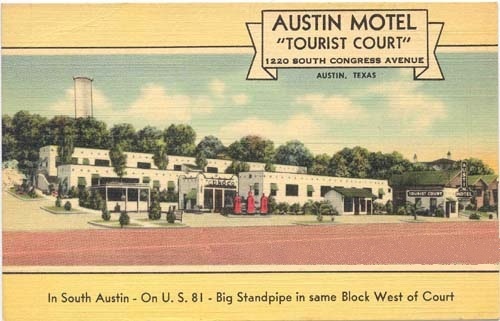 The Texas section of the Meridian Highway contains some 1,830 road-related historic resources including gas stations, diners, tourist courts, motels and hotels, road markers, bridges, and road segments. We gathered together the best of the resources (National Register Listed, Recommended Eligible for the National Register, and Recommended Contributing to a District) into an interactive map so you can experience the riches of the Meridian from your desktop, laptop, or smart phone. If you are interested in applying for National Register designation and/or Preservation Tax Credit Incentives for any of these resources, please contact the THC’s National Register Coordinator to discuss the project. Click on the red Explore the Meridian Highway button above to start your adventure. If you are interested in seeing all of the surveyed resources, click on the Other Ways to Explore the Meridian Highway in the right sidebar. 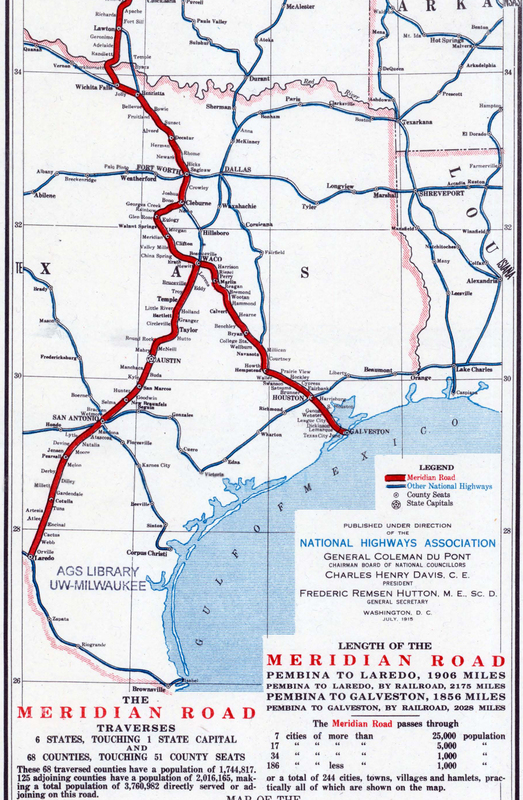 The Meridian Highway runs through five Texas Heritage Trail Regions: Brazos, Hill, Independence, Lakes, and Tropical.